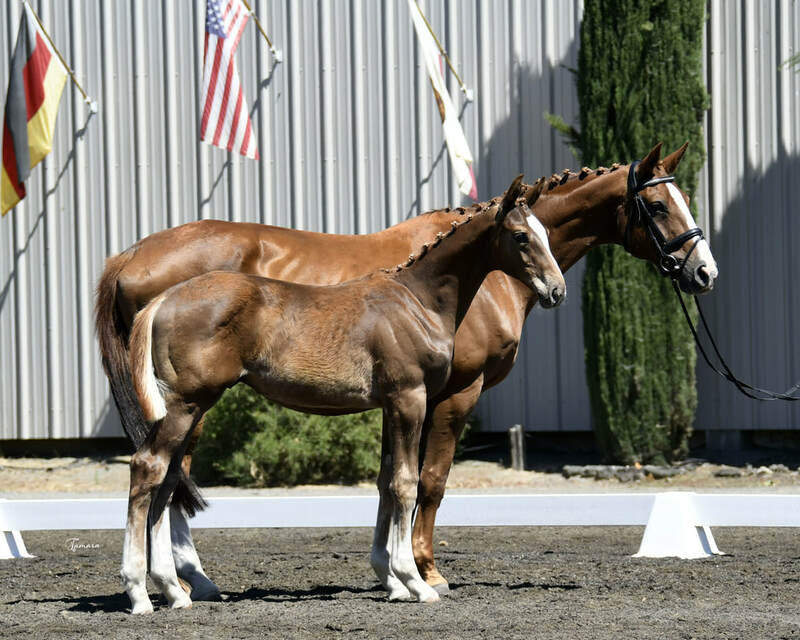 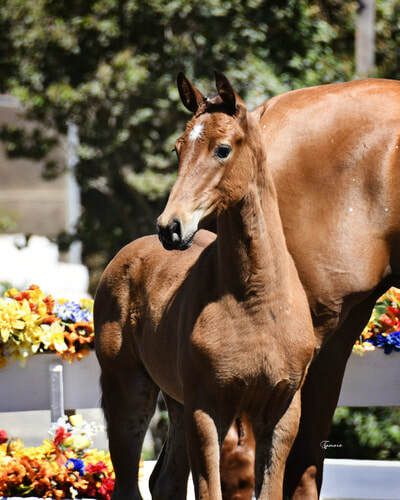 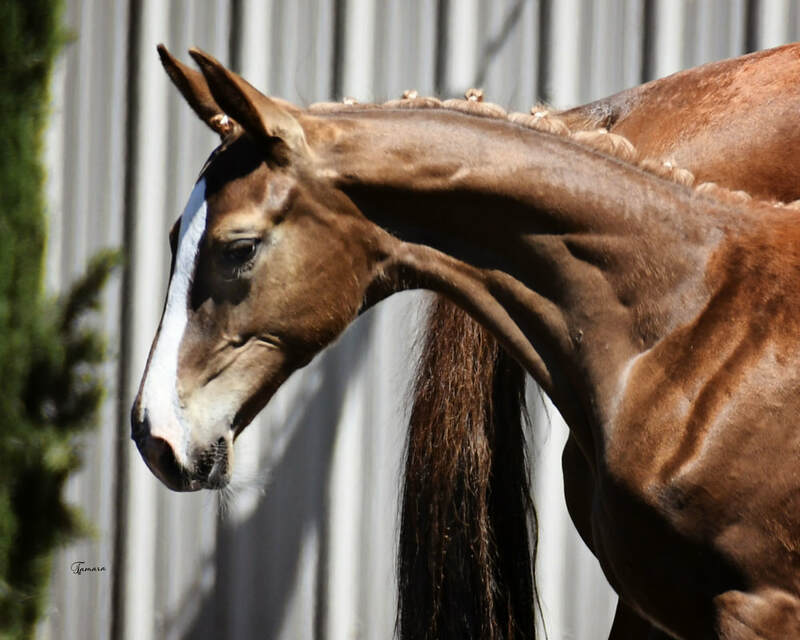 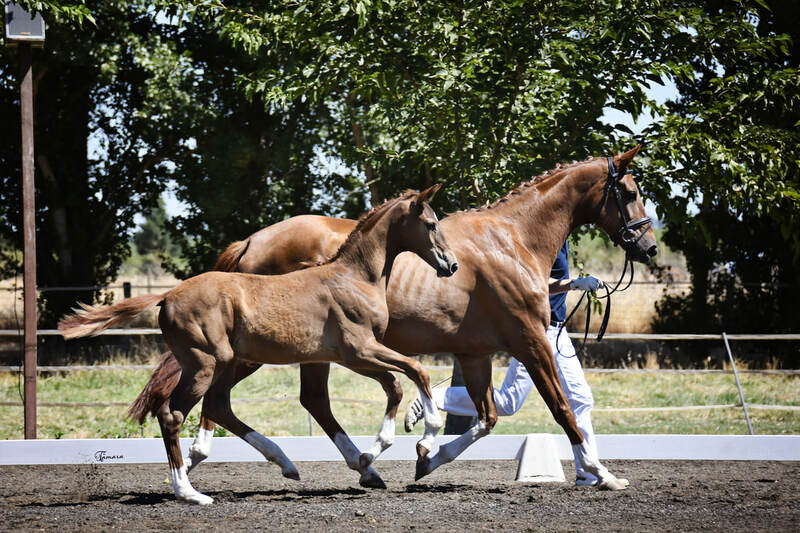 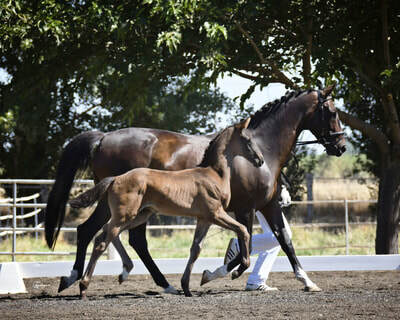 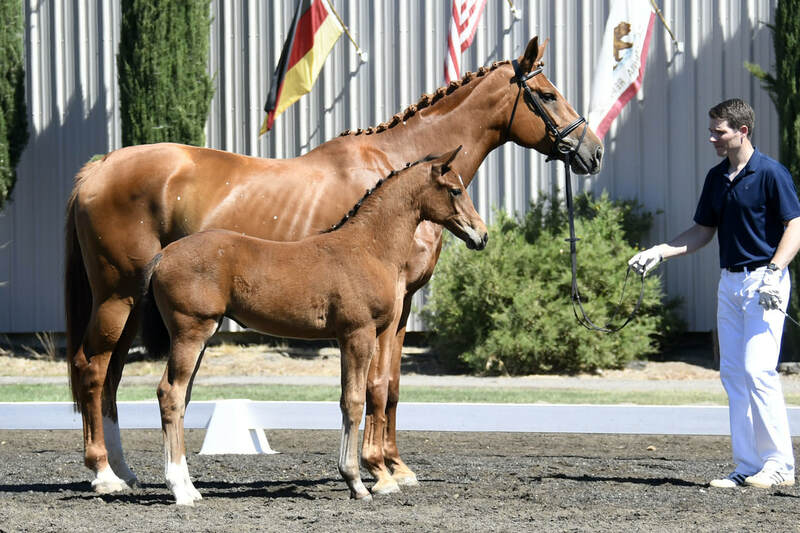 Velantis N is the stunning winner of his 2018 Hanoverian foal inspection. 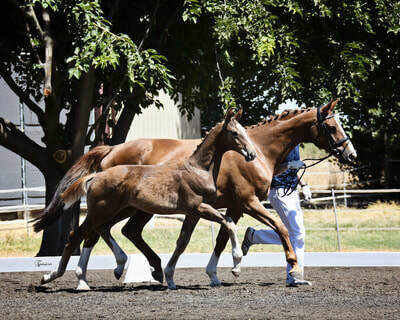 With his four white socks, modern type and expressive movements he won over the hearts of the judges and spectators. 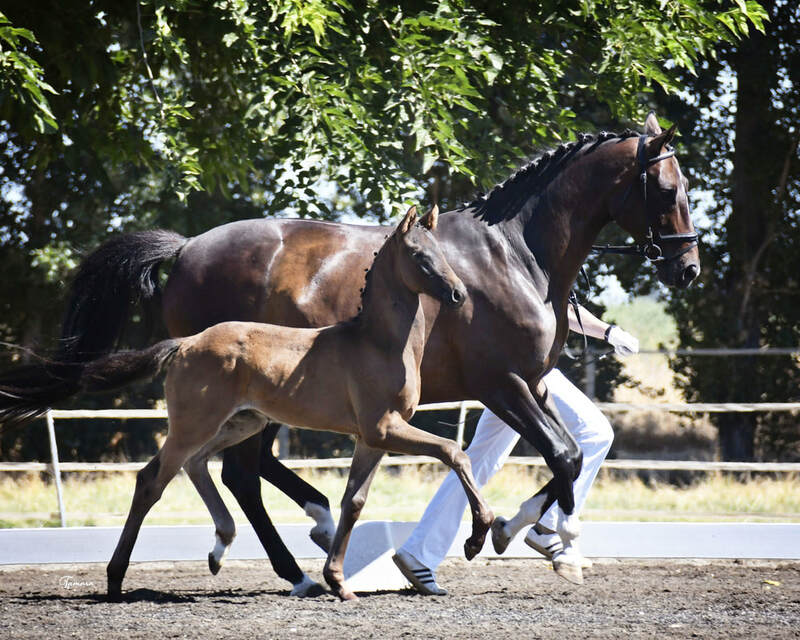 He is by Vitalis, an FEI Dressage stallion of the Schockemoehle stud. 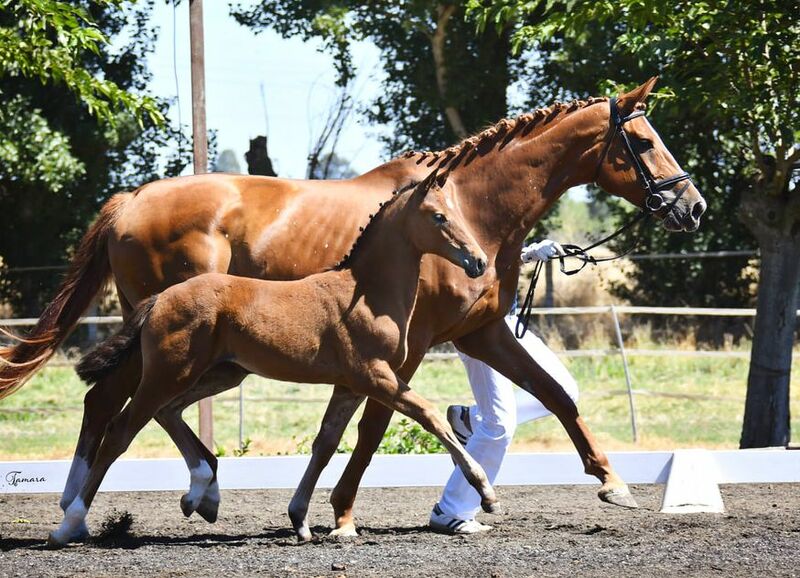 As one of the top 10 breeding stallions in the world, Vitalis has a FN dressage breeding valuation with 151 points. 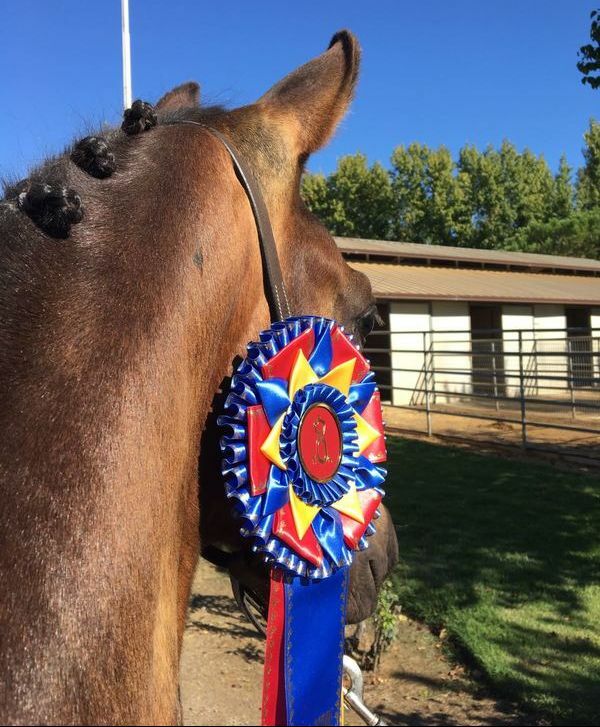 With multiple appearances at the Young Horse world Championships Vitals already made a name for himself. Now his offspring dominate the breeding scene on virtually all inspections and keurings around the planet. 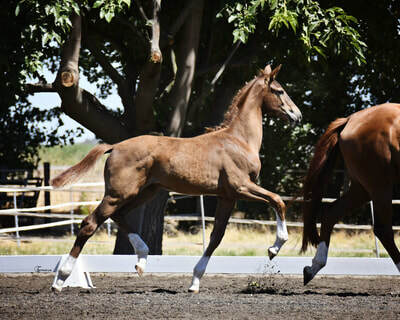 Aurelia N, cute as it can be! This compact little darling received the award for best filly at her Hanoverian Inspection. Rhythm, expression and character - only a few of the positive remarks she received from the judges. And did we mention she is cute as heck?! Her sir Ampère is one of the trademark stallions from Holland. His offspring have already made an impact in the Dressage world as they are praised for their ridability and character. 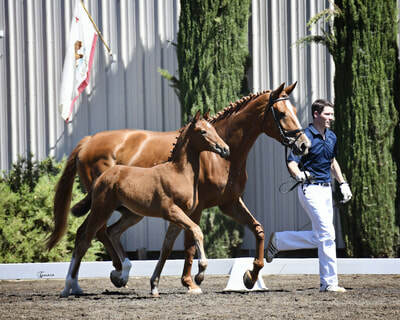 Winner of his Oldenburg Foal Inspection! 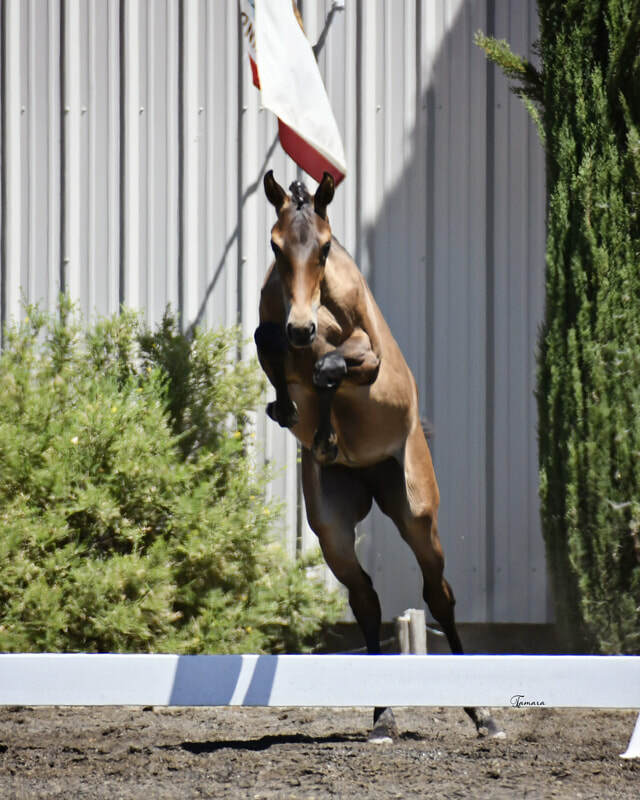 Impressive mover showing off his modern type! 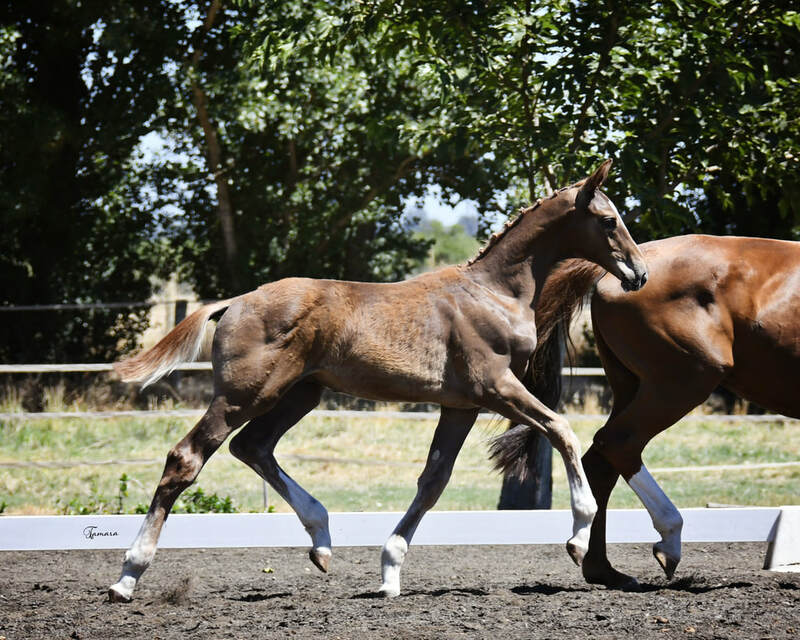 Moricello N - sweet character, modern type and impressive mover. 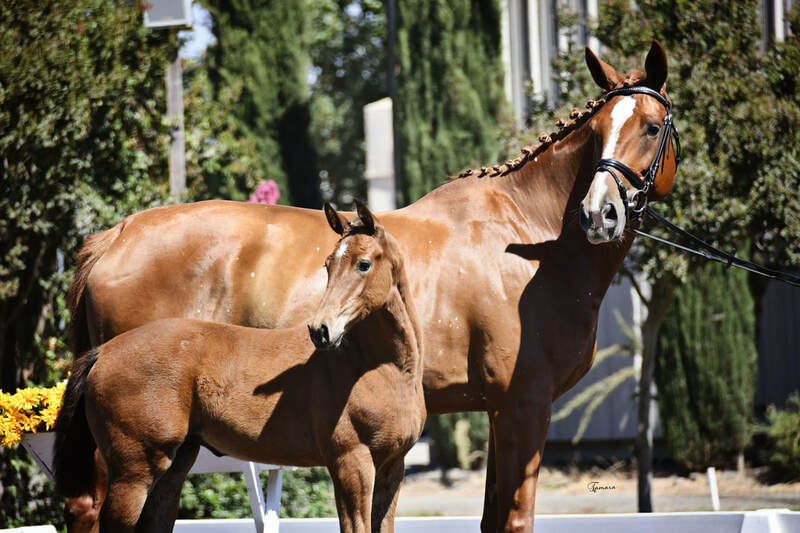 The Trakehner blood of Morricone and Dynamica's Donnerhall pedigree had a very pleasant surprise for us in store. We are thrilled with this little youngster and are looking forward to see what the future holds for him. 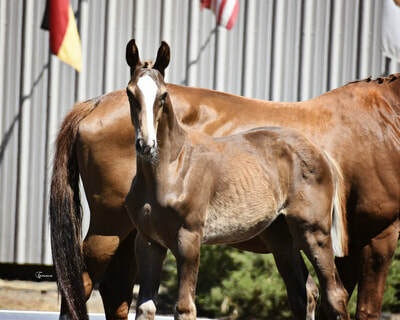 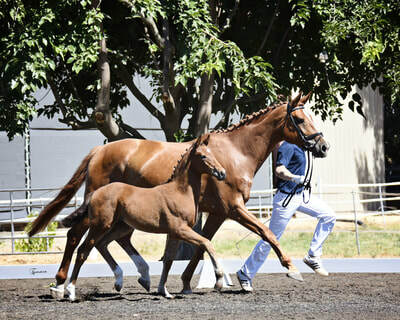 Moricello N won his Oldenburg foal inspection at Starr Vaughn Equestrian (9/6/2018) with an overall score of 8.3! 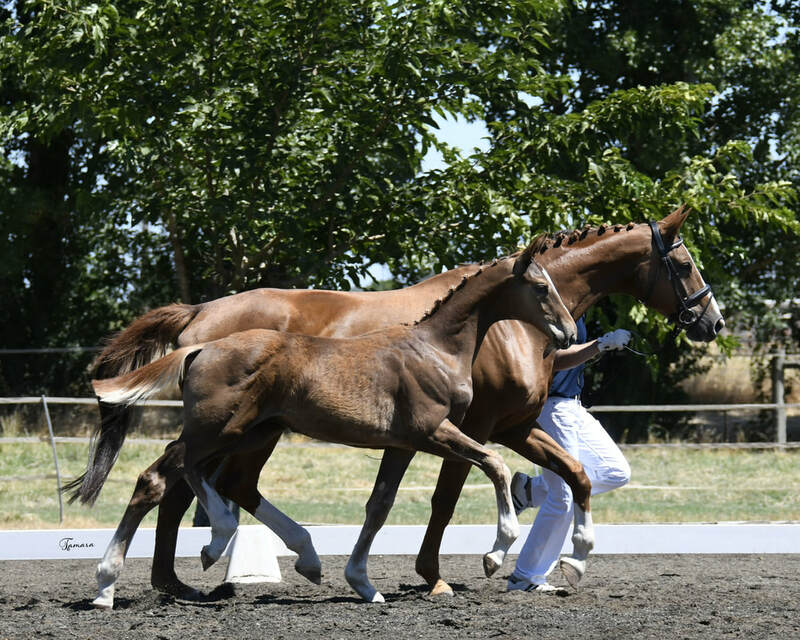 Moricello's sire Morricone is offered through the stud Bonhomme near Berlin. 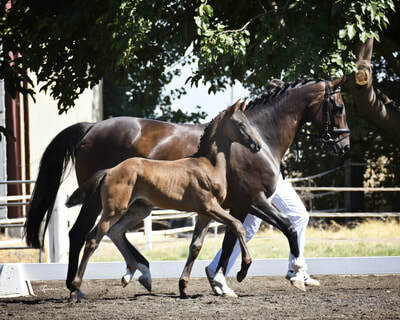 He is the 2014 Oldenburg Champion Stallion and dressage winner at his stallion performance test in 2015. As a first place winner at the Bundeschampionat qualifier, he also already produced several Foals at Elite Auctions of other established Auctions. 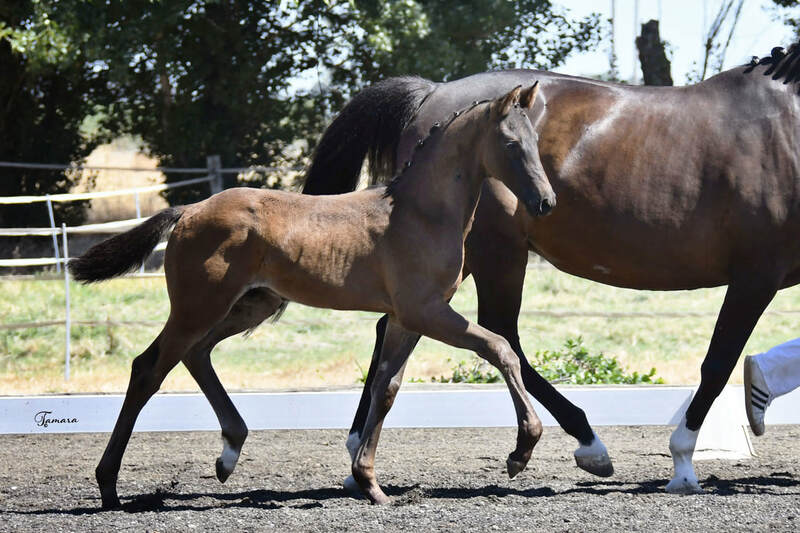 Long legged colt with chrome - out of our proven mare Farera. 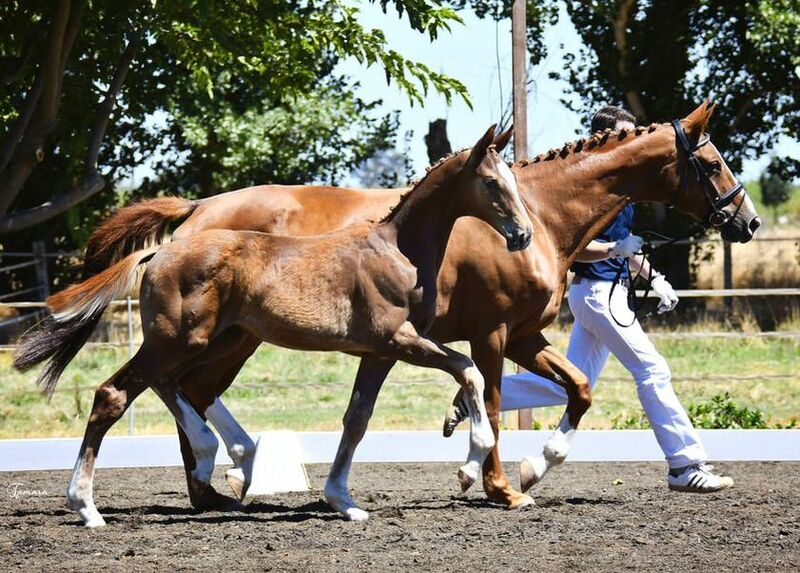 Don Fuego N - striking movements, long legs, and a curious mind. We have high hopes for this colt. 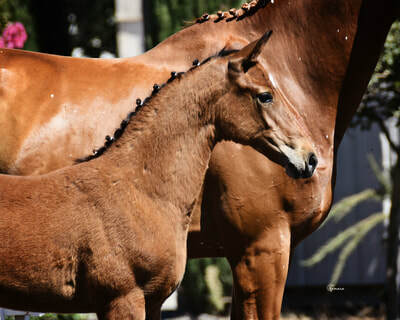 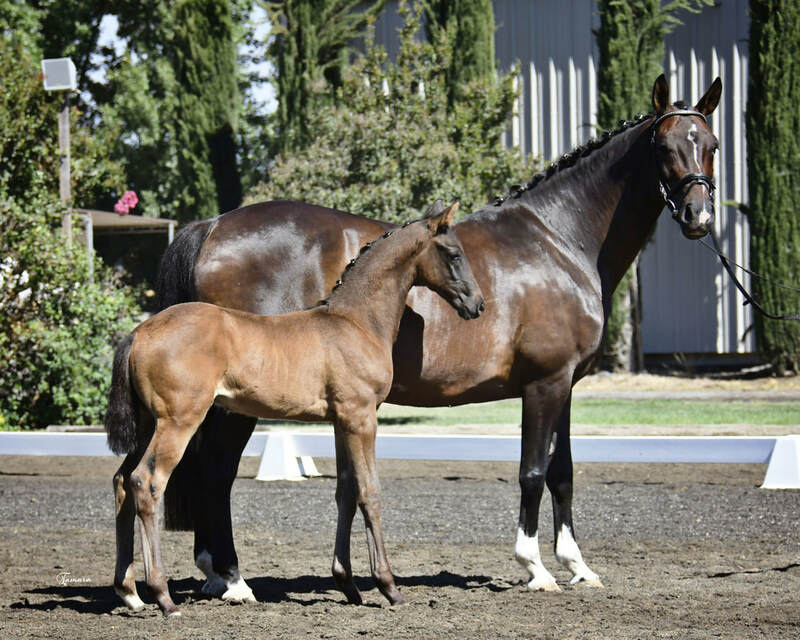 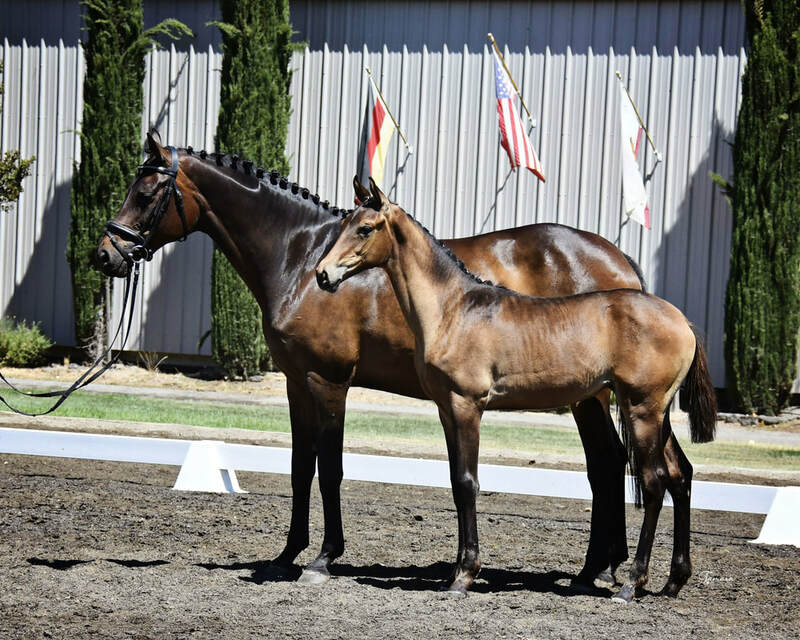 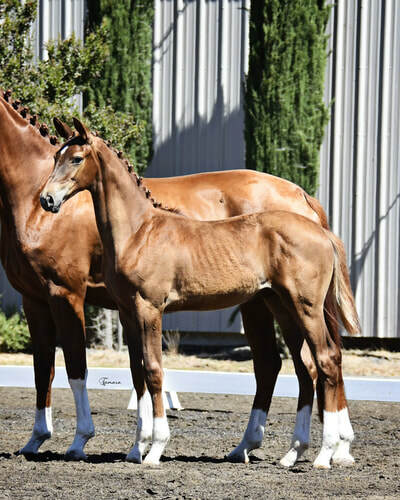 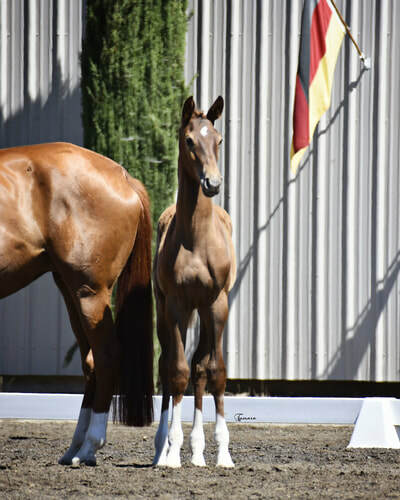 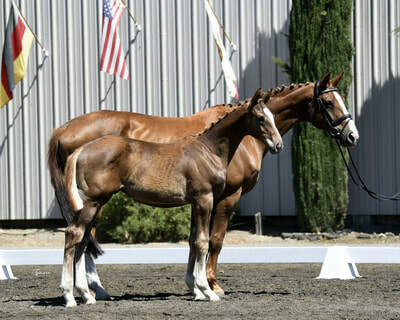 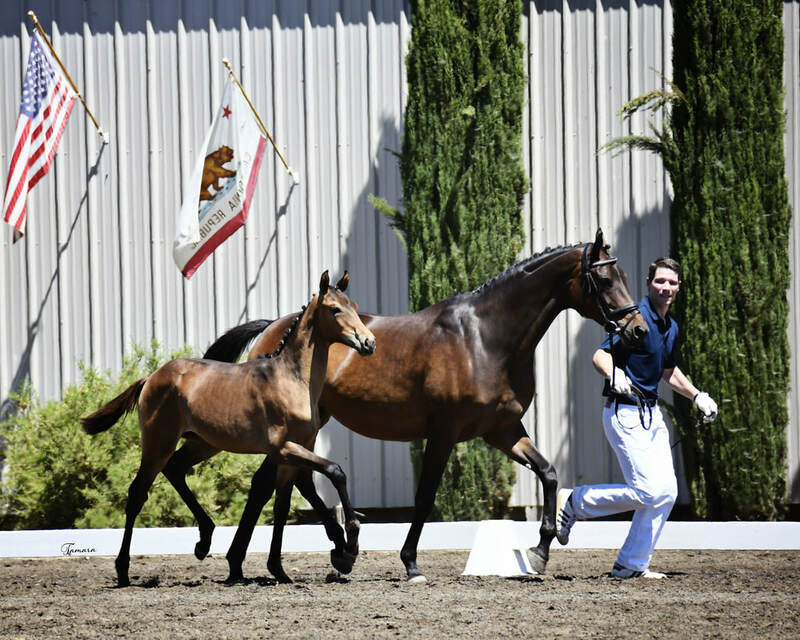 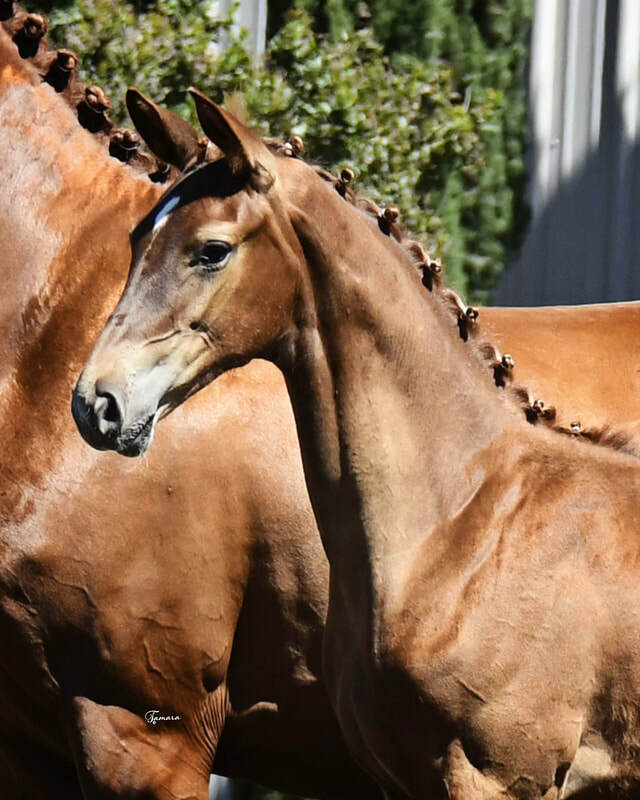 His dam Farera has already produced eight top quality foals for us thus far, including the premium mare Donna Dia, as well as Wintessa N, a Winterprince offspring who has been shown successfully at FEI level, even placing in the top 5 at the Del Mar National CDI. 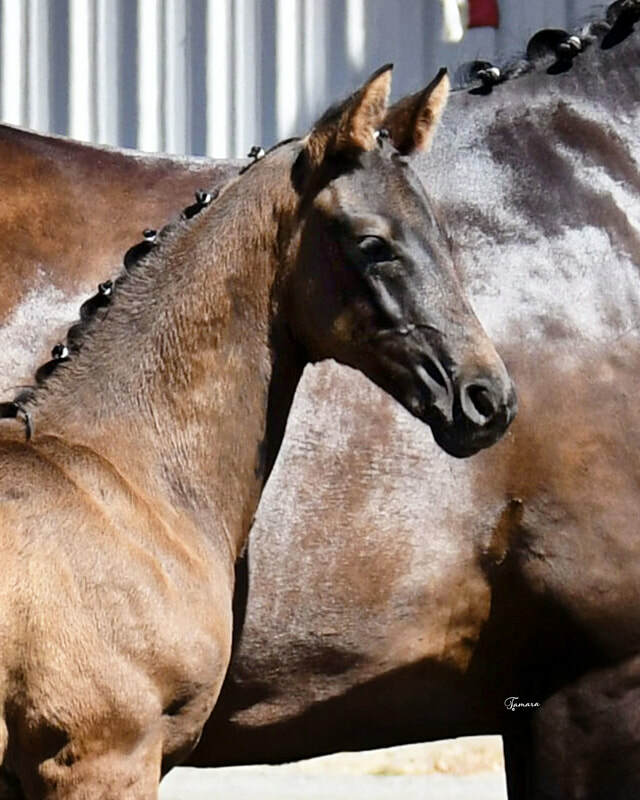 Don Fuego's sire, Don Deluxe, an exceptional stallion with top exterior and gaits, is offered through the Helstrand Stud. 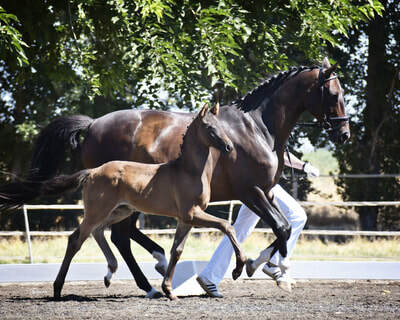 He was sovereign champion stallion in Oldenburg 2013. The father is the legendary De Niro, who was ranked first in the world among all dressage sires. 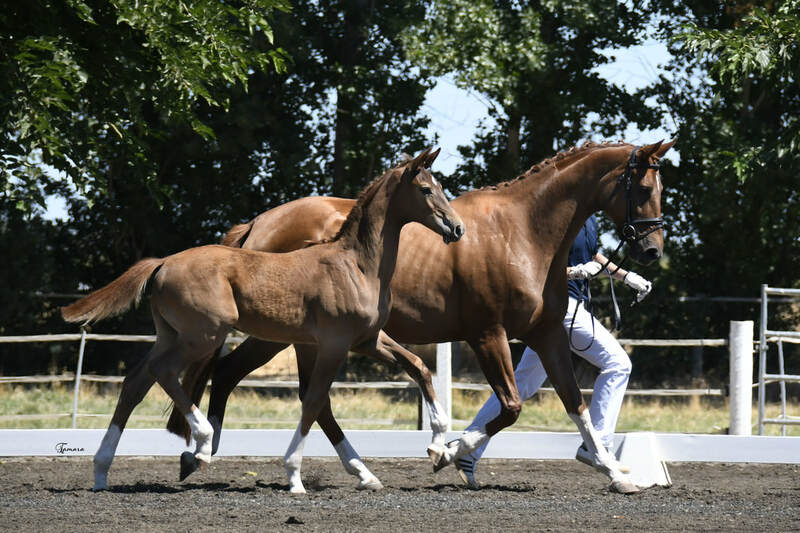 In 2015 Don Deluxe won the DWB's performance test. Fürstin Freya N is the third filly out of our state premium mare Signorina. 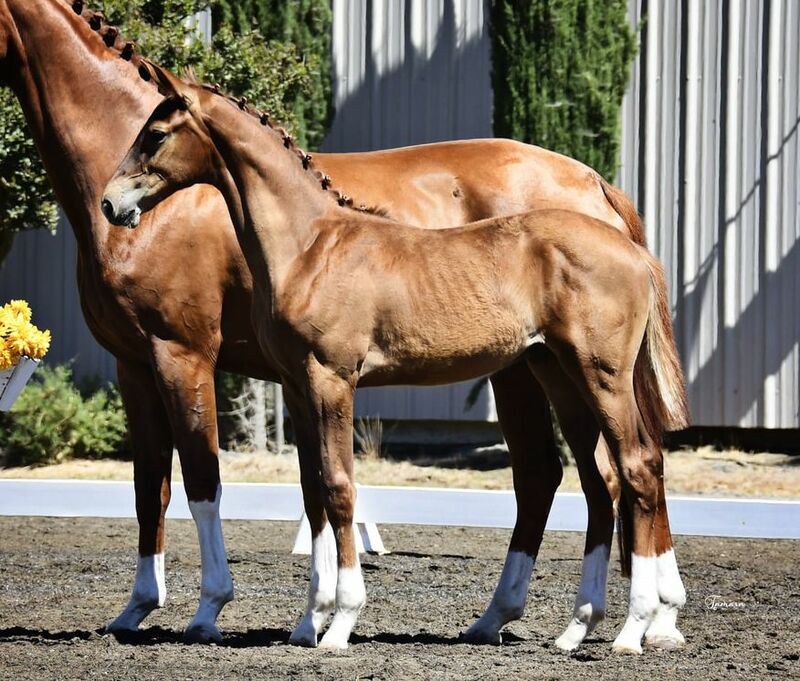 She is tall but very elegantly modeled. 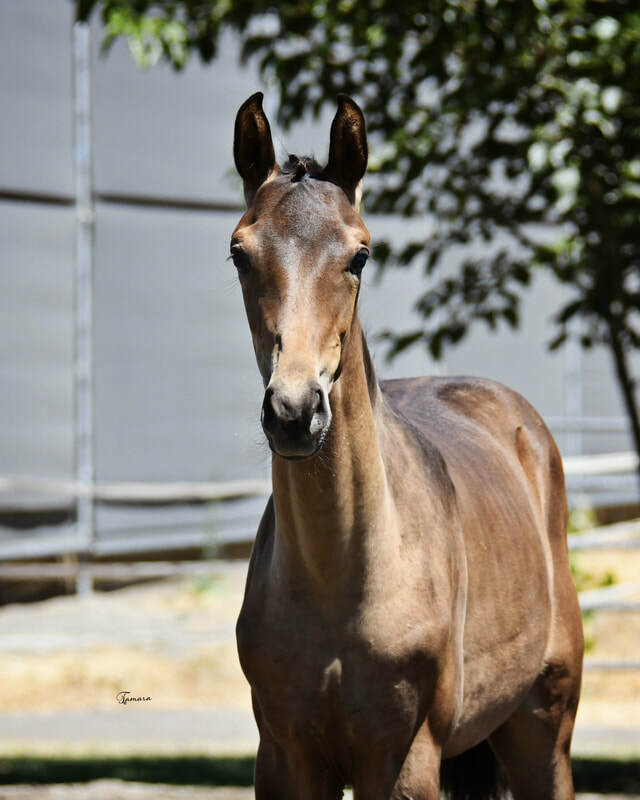 Her sire ​Fürsten-Look is offered through the famous Schockemoehle stud. This promising young stallion won his licensing in Vechta and has wins at regional and national championships in his resume.